If you are curious and wish to discover the historical background of Malaysia 13 states’ architecture, then Taman Mini Malaysia, or Malaysia Mini Park is a must visit tourist spot in Melaka that you should not miss. 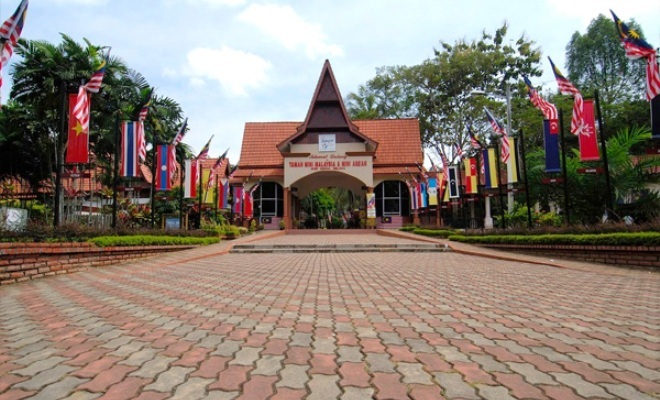 Taman Mini Malaysia is located in Ayer Keroh, a small town located not far away from Melaka. By visiting to this mini park, you will get the chance to discover the architecture history as well as the living culture of each state in Malaysia. Other than discovering the unique houses, there are also other exciting spots such as hanging bridge and the skytrek platform waiting to be explored. If you are type of adventurous traveller, you can even enjoy the horse riding available in the park. This is indeed a nice and interesting park to visit in Melaka, although the tropical weather in Malaysia may puts you off, but you will still enjoy the stay in this tourist spot.